Cook recipe according to package directions. 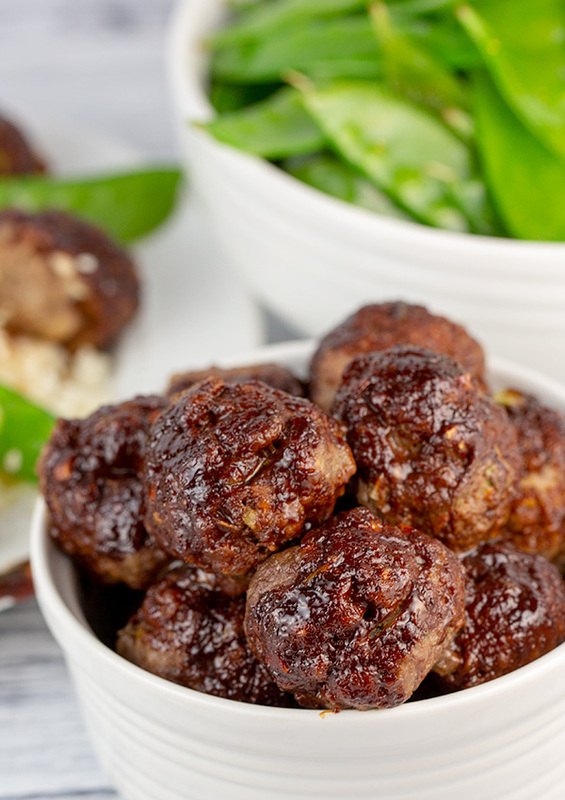 When the meat mixture is well combined, create 1 inch meatballs and place them evenly spaced on a large baking sheet prepared with cooking spray. Bake for about 15 minutes, then remove the baking sheet from the oven. 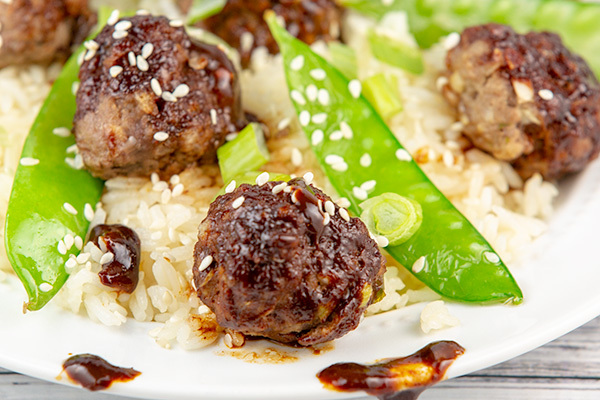 Use a pastry brush or spoon to evenly coat all of the meatballs with Hoisin Sauce. I used about 1/4 cup of sauce but feel free to use more if you wish. 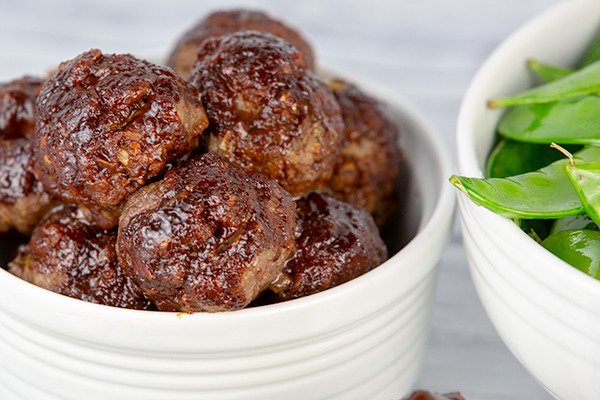 While the meatballs cook, heat 1 tablespoon olive oil in a large skillet over medium-high heat. 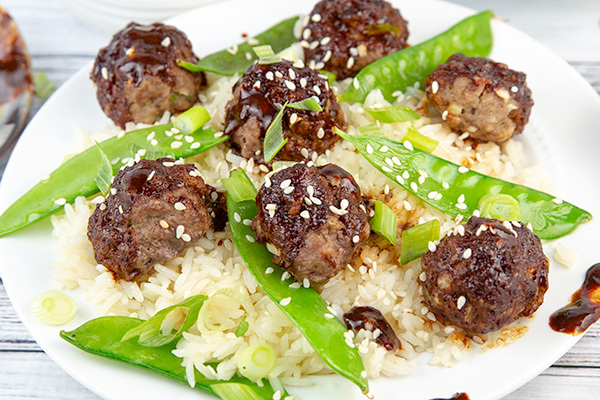 Sauté the snow peas for about 4-5 minutes. Season with salt and pepper to taste. Set aside. To serve, divide the rice evenly among 4 plates. 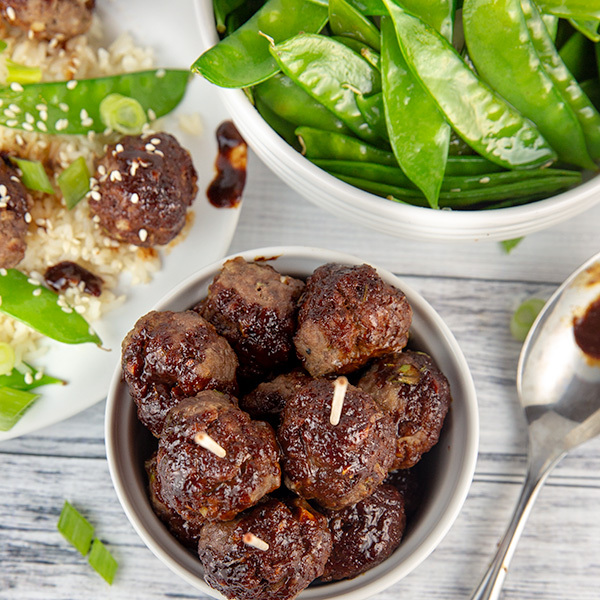 To each plate add the desired amount of meatballs and snow peas.